Gaming has become the lifeblood of Biloxi. Biloxi (also referred to as Casino Coast) has generated billions in casino revenue, and has added more than 10,000 hotel rooms to its inventory over the past decade. Gambling in Biloxi, even though it wasn't legalized until the early 1990s, actually dates back to the 1940s when the Broadwater Beach Resort offered open gambling until sometime in the 1950s. Then, in the 1960s, Biloxi and the Gulf Coast became an attractive Southern vacation hub for Northerners seeking an alternative to Florida. It was during this time that Biloxi began renovating and updating its hotels infrastructures, including amenities and restaurants. In 1969 the Gulf Coast was leveled by Hurricane Camille. The citizens of Biloxi came together to rebuild their city over the course of several years. A new era was ushered in when the city legalized gambling and opened its first casino in 1992; this gave Biloxi a national presence and spurred major growth for the tourism industry. Biloxi's casinos have become an integral revenue-generator for the city. In 2005 Hurricane Katrina destroyed many of the area's casinos, but several have been rebuilt and reopened and are operating at normal capacity. The city itself is still rebuilding its waterfront areas. The Mississippi Gulf Coast's room inventories rival those of Reno Nevada and Atlantic City. Not bad for an otherwise sleepy Southern town. Call Biloxi the "poor man's Las Vegas" if you want, but gaming in Biloxi is popular for several reasons: Biloxi is situated in a part of the country that is within a reasonable drive from most states. Biloxi is spilling over in slot machines. And according to a recent national study by the American Gaming Association, 56 percent of polled participants prefer slot machines to table games. Plus, Biloxi has a beach (well, so does Atlantic City, but it's warmer in Biloxi). You can't lose - and that is a safe bet. 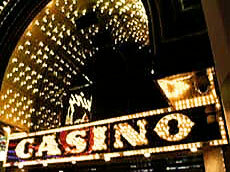 Click here for a list of Biloxi's casino hotels.